Wondering where to start the process toward Home Ownership? Please give me a call. I am happy to help you! Copy and paste in your Browser: http://www.assuredmortgage.com/Calculators/RentVown.aspx? Determine how much you can afford by meeting with a Mortgage Lender. There are some names on my "contractors" webpage. Make some notes about what type of home you want, and think about where you would like to live. Copy and paste this into your Browser: http://www.assuredmortgage.com/Calculators/Payment.aspx? Decide what type of representation you would like. You can review the information I have on the “Buyers” webpage. I will help you find the home you want. As a "Buyer's Agent" I will also work with you to find homes either listed or unlisted. If you have email, I can send you new listings as they are listed. Once you decide which homes you want to see, I can conveniently schedule your appointments. I will assist you every step, with explaining the documents, writing your Offer, the home inspection and Closing. Once your Offer is accepted, you will need to submit earnest money which will be held in an escrow account by the Broker. At Closing it will be applied to the purchase price. Apply for your loan with the mortgage lender and submit the paperwork they will require. The Lender will give you a good faith estimate of your closing costs and order an appraisal to determine the value of the property you wish to purchase and supporting the loan. Order a home inspection from a professional licensed home inspector. There are some listed on the "contractors" webpage if you need some names. The inspector should give you a thorough review of the entire house, including exterior, roof, building structure, foundation, major systems (electrical, plumbing, heating/cooling, etc.). An inspection should give you an idea of the timeframe for replacements or repairs needed before you buy for your peace of mind. Here are the guidelines a Wisconsin Home Inspector must follow. You can purchase a home warranty for your investment to protect you. Wells Fargo Bank, the City of Milwaukee and Select Milwaukee announced that NeighborhoodLIFT is coming to Milwaukee. 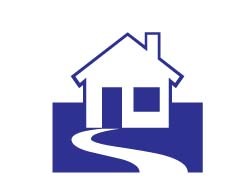 NeighborhoodLIFT is a national program from Wells Fargo Bank, and NeighborWorks® America. NeighborhoodLIFT Milwaukee provides eligible home buyes with $15,000 to use towards down payment and closing costs on qualified homes. 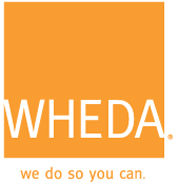 WHEDA Loans can offer advantages for Buyers. Many lenders have successfully used the Section 203(k) program in partnership with state and local housing agencies and nonprofit organizations to rehabilitate properties. These lenders, along with state and local government agencies, have found ways to combine Section 203(k) with other financial resources, such as HUD's HOME, HOPE, and Community Development Block Grant Programs, to assist borrowers. 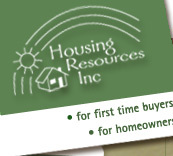 Several state housing finance agencies have designed programs, specifically for use with Section 203(k) and some lenders have also used the expertise of local housing agencies and nonprofit organizations to help manage the rehabilitation processing. Does your home need energy or major repairs? There are some programs that may help you. See what FHA Financing Programs are available, and how to get started! A helpful list of home maintenance items for Homeowners. This information contained on this Website is not intended as legal advice, and for specific legal questions you should contact a Real Estate Attorney. You have the option to have your own legal representative attend your Real Estate Closing at your own cost. Click HERE to download Adobe Acrobat Reader for files that are in PDF format!